The Irish Green Building Council has launched a new programme to measure the carbon footprint of construction products. The Environmental Product Declaration Ireland Programme (EPD Ireland) allows manufacturers to publish independently verified information about the environmental footprint of their products. Medite Smartply, Munster Joinery and Quinn Building Products are the first Irish manufacturers to develop EPDs through the programme. 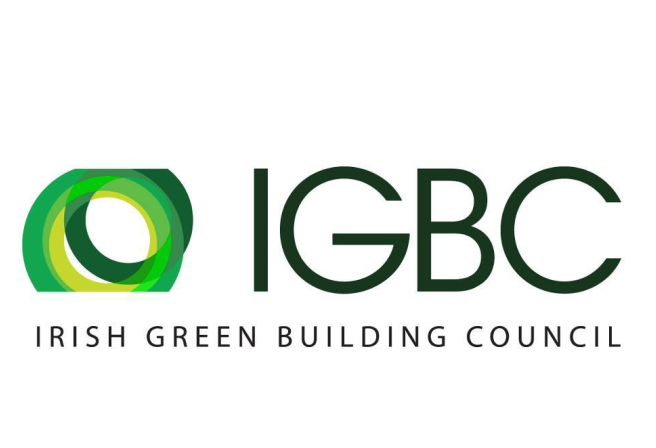 They received their EPD certificates at the IGBC's first sustainable building materials conference, Re-Source 2018, which was held in Dublin on 21 June. Commenting on their EPD cert, Jason Martin of Quinn Building Products said that due to uncertainty surrounding Brexit, increasing sales in Ireland was a key priority for the company. “Disclosing information on the carbon footprint of our products gives us a more competitive offering,” he added. Meanwhile Stephen Hughes of Enterprise Ireland said that the organisation is now supporting Irish manufacturers in developing EPDs because they are becoming increasingly required by specifiers across Europe. The Irish Green Building Council has now produced a short guide to help Irish manufacturers produce EPBDs, and it is available to download at www.igbc.ie. Meanwhile the keynote speaker at Re-Source 2018 was Prof Michael Braungart, a chemist who is widely known for his work in developing the 'cradle to cradle' design concept. Throughout his talk Braungart focused on the importance of choosing healthy materials in construction. He emphasised that choosing building materials wisely can have a positive impact on both human health and the planet. We need to "make buildings that support life," he told the conference.